Thank you to Congressman Carlos Curbelo for a Roundtable discussion on Haitian TPS. Your support to extend temporary protected status is much appreciated. 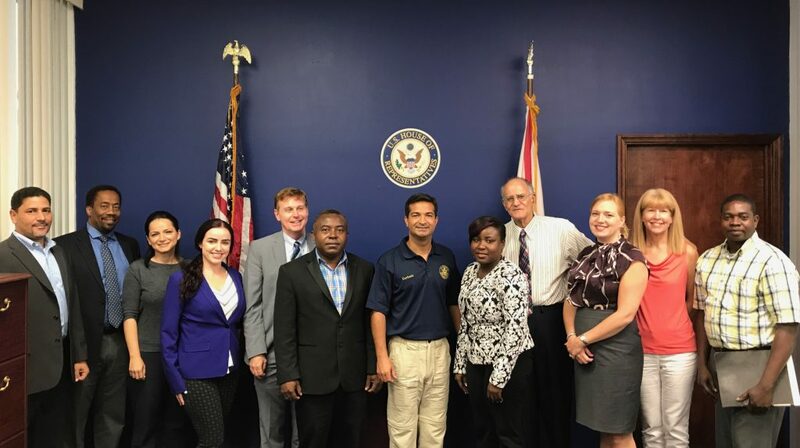 Earlier this week, Representative Carlos Curbelo (FL-26) held a roundtable discussion with constituents and local stakeholders to exchange ideas about the future of Temporary Protected Status (TPS) for Haitians. Stakeholders shared the frustrations of the community with continuing the shorter re-authorizations and the need for a permanent solution. Curbelo reiterated his support for an 18-month extension of TPS for Haitians and said it may be time to consider a permanent, legislative solution given their critical contribution to the Florida economy.